Home / Pharma news / 6,000 medicines including saridon, jintap, will be banned! 6,000 medicines including saridon, jintap, will be banned! More than 6 thousand medicines, including the Zintep P, which are being used to treat cirrodyans and body pain, which are commonly used in the headache, are going to be banned. 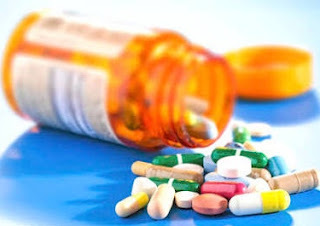 The Ministry of Health believes that the pharmaceutical companies have unloaded these medicines without studying the effects and effects of drugs with 328 fix dosage combinations. With this step, there has been a major shock to many pharma companies like Sun Pharma, Cipla, Wockhardt and Pfizer. If the above medicines are banned then the drug business of 3-4 thousand crores will be affected. With this decision, more than 6000 brands of Pfizer, Cipla have shocked. Companies such as Sun Pharma, Wockhardt are also shocked at it. Explain that on the order of the Supreme Court, DTAB examined 328 medicines. After that this decision has been taken. The effect of this ban will be on drugs like Ceridon, S-Proxivon, Nimilide Fen, WinTep P, Mclox, Linux XT and Zathrin Ax.